Day 17 - An art piece (painting, drawing, sculpture, etc.) - Just love me or leave me alone. 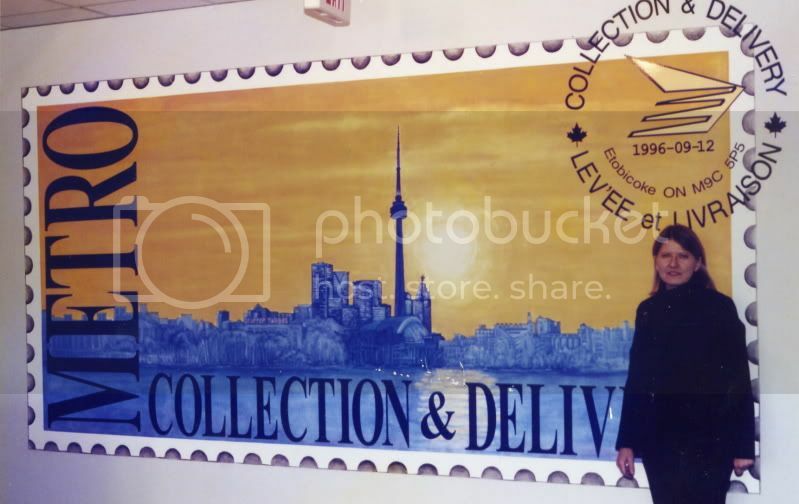 This is a mural that my aunt was commissioned to make for the Toronto PostOffice. I believe it is located at Station Q, but am not 100% sure on that. That is her in the picture.